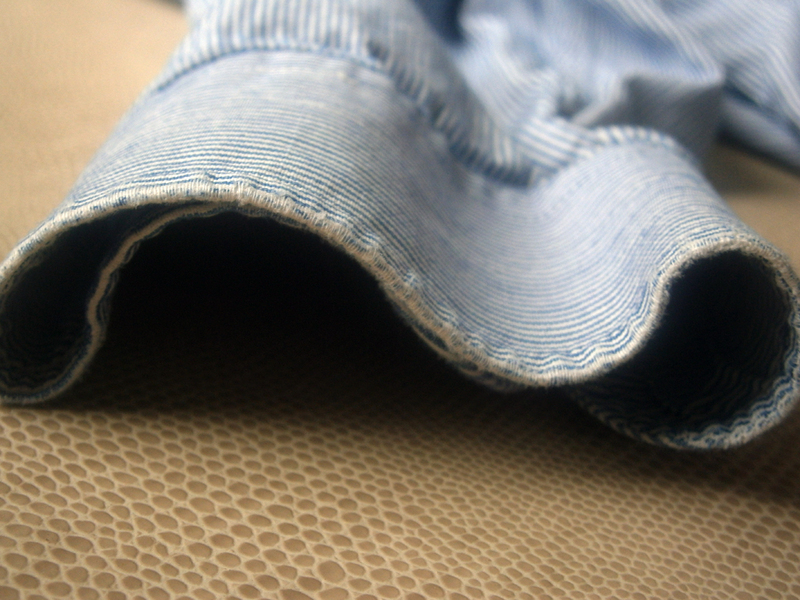 I’ve got a few pieces in my closet that are getting nicely worn. 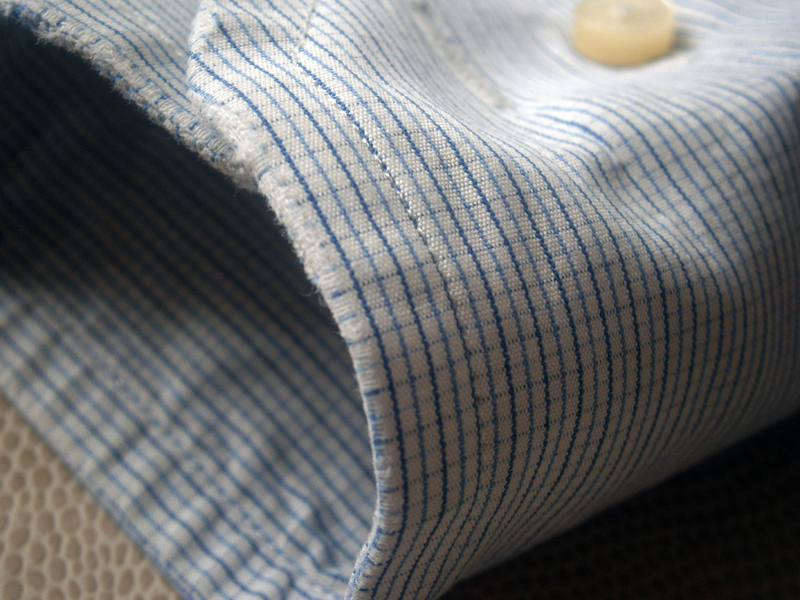 During the last decade or so, I’ve been focused on buying pieces that will age well and are relatively trend-proof. 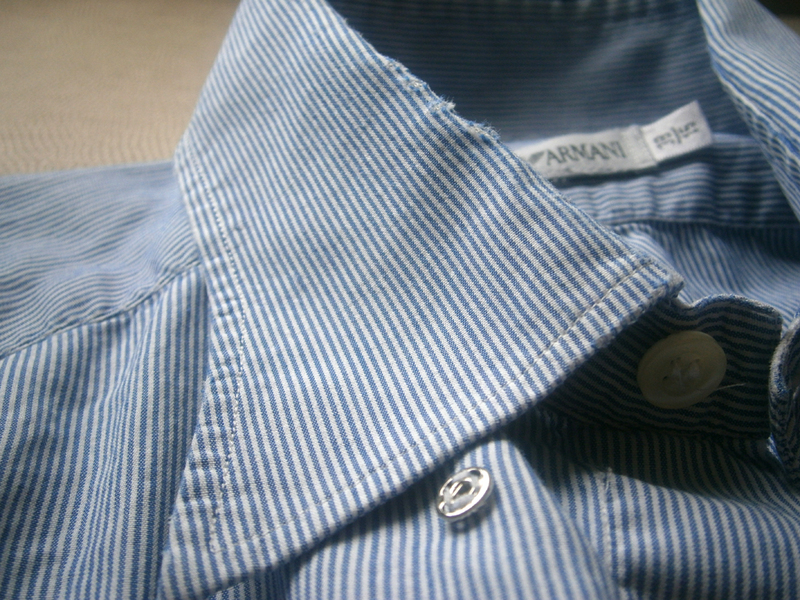 The first piece I’m showing is an Emporio Armani shirt I picked up almost 20 years ago, back in my college days. 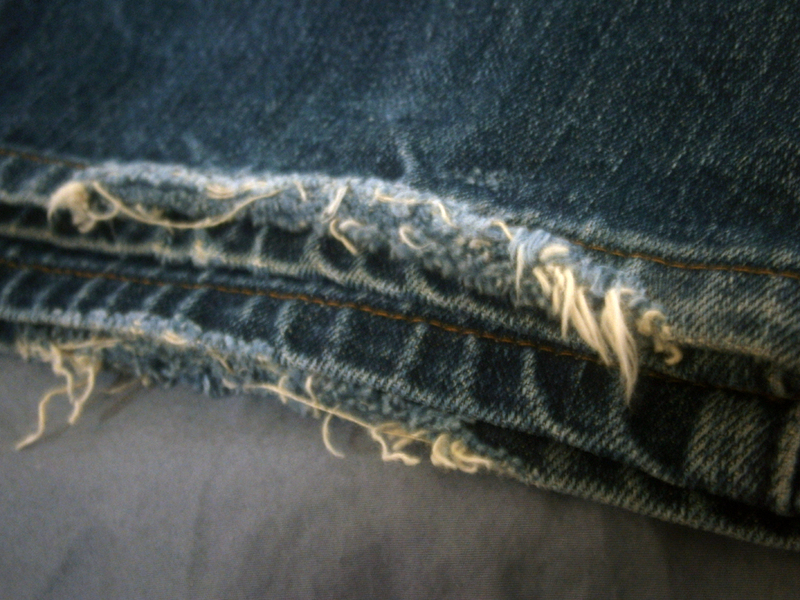 Only within the last year or so has it finally developed the fraying you see here. 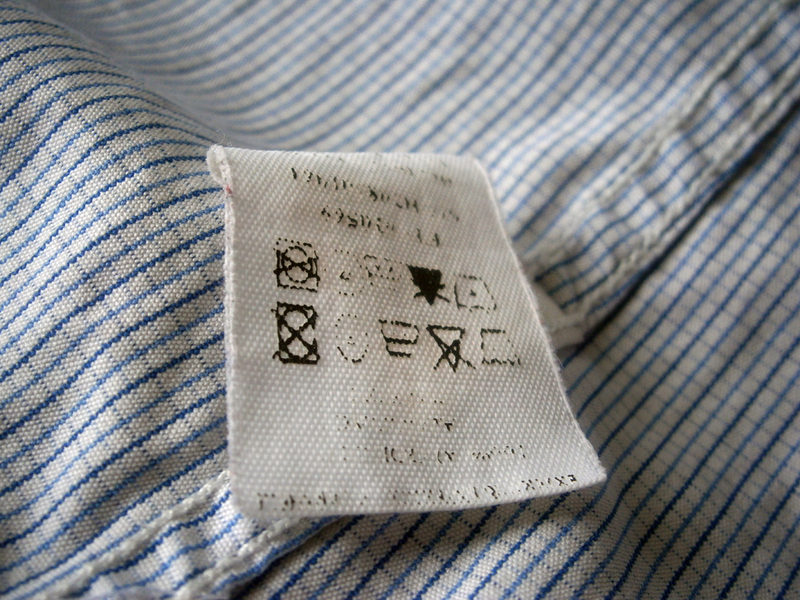 This shirt has seen a lot of history (half my life basically) and I’ve gone on dates, to work, weddings, and even held my then-baby boy in it. 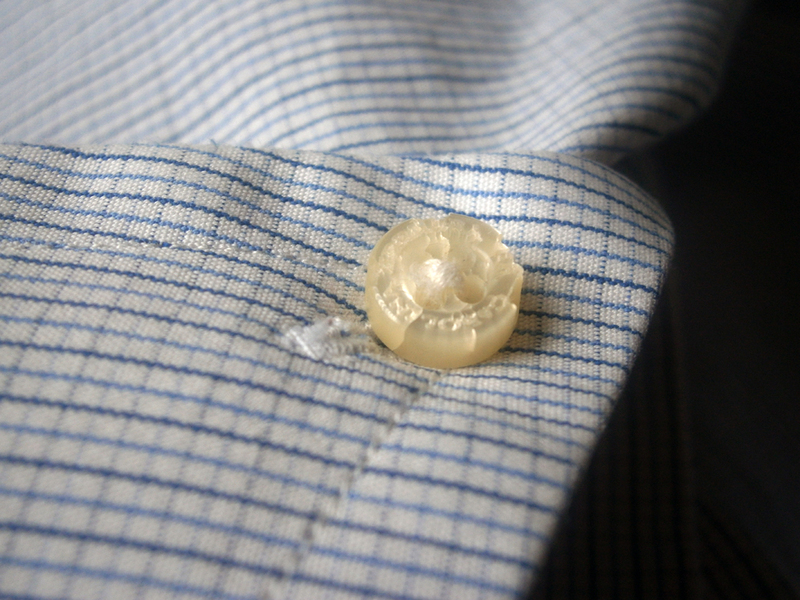 I’ve resewn buttons and collar-snaps and washed it more times than I know. If you break down a cost per wearing, it’s gotta to be down to 50 cents or so by now. Because it’s getting so fragile now, I’ve only worn it once or twice in the past year on the weekend. 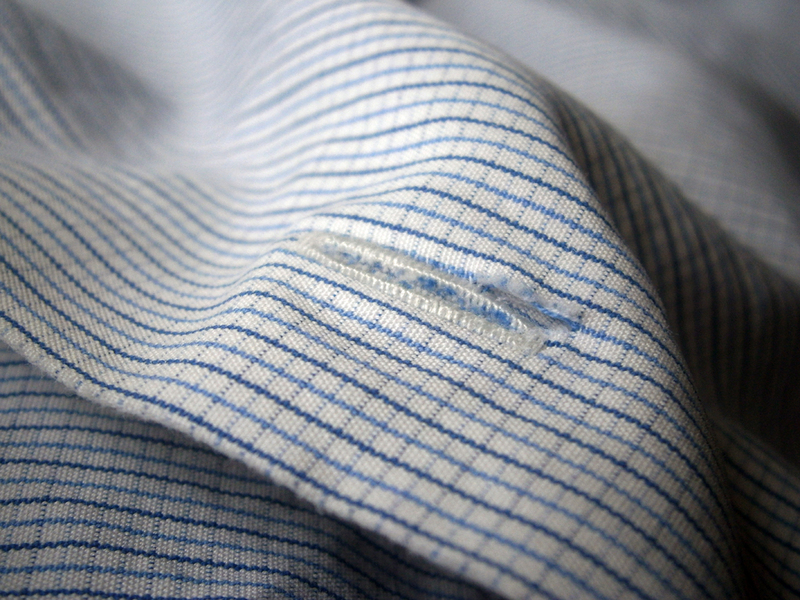 I’ve been looking for a replacement in the same thin stripe, but haven’t found anything of comparable quality yet. 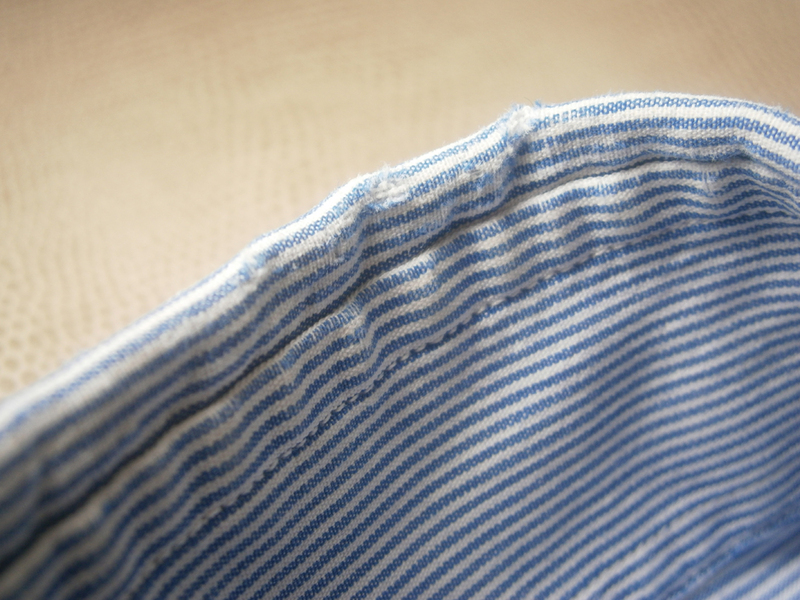 The broadcloth fabric held up pretty well over the time and is delightfully soft now, like old friend. 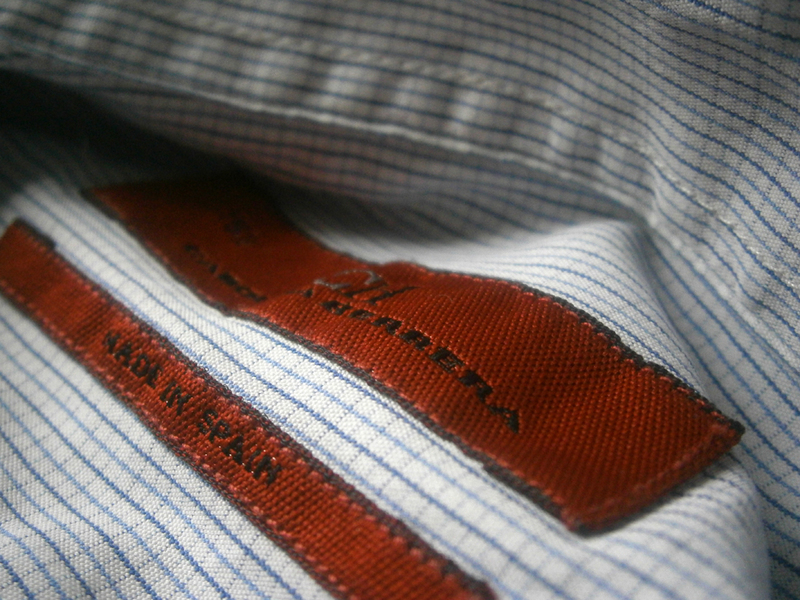 Significantly less older is a CH Carolina Herrera shirt my wife bought me. 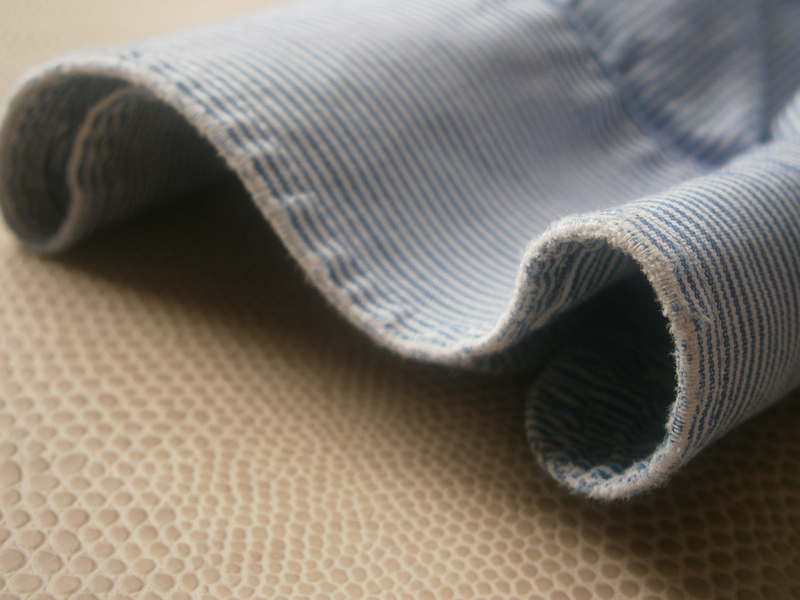 It’s got a micro tattersall pattern, is a nice broadcloth and while it has quite a slim fit, has a generously proportioned button-down collar. I made the mistake after the first or second wearing of sending it to the dry cleaner my wife used at the time. 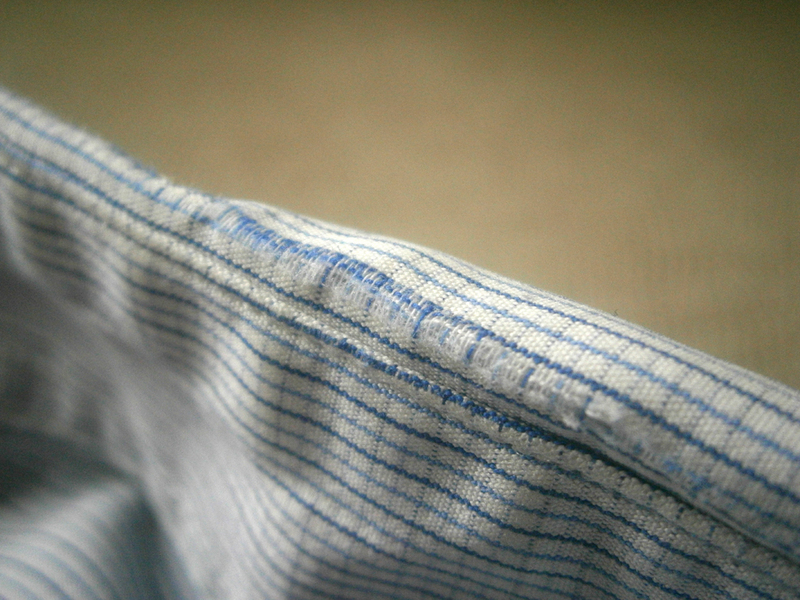 Whoever pressed the shirt didn’t know a damn thing, as they cracked a button, creased the cuffs, etc. 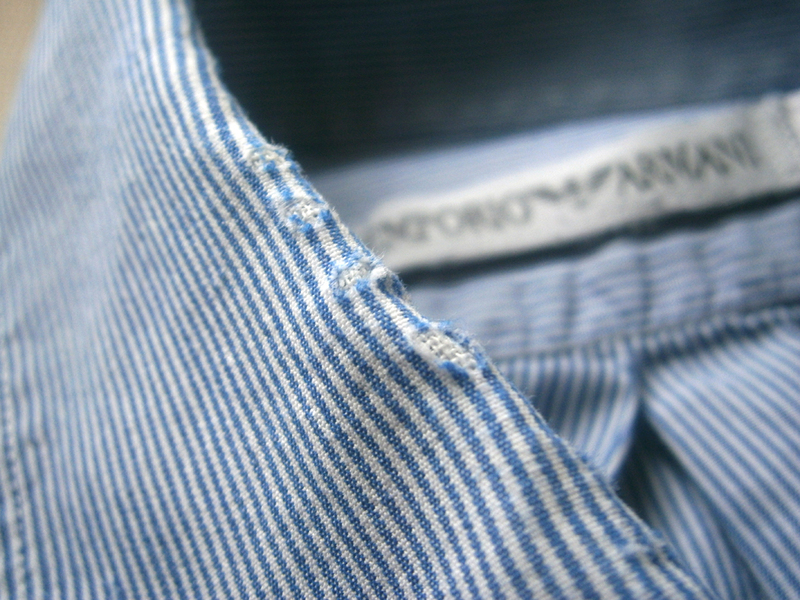 I was pissed, but kept the cracked collar button as I thought it added some character. 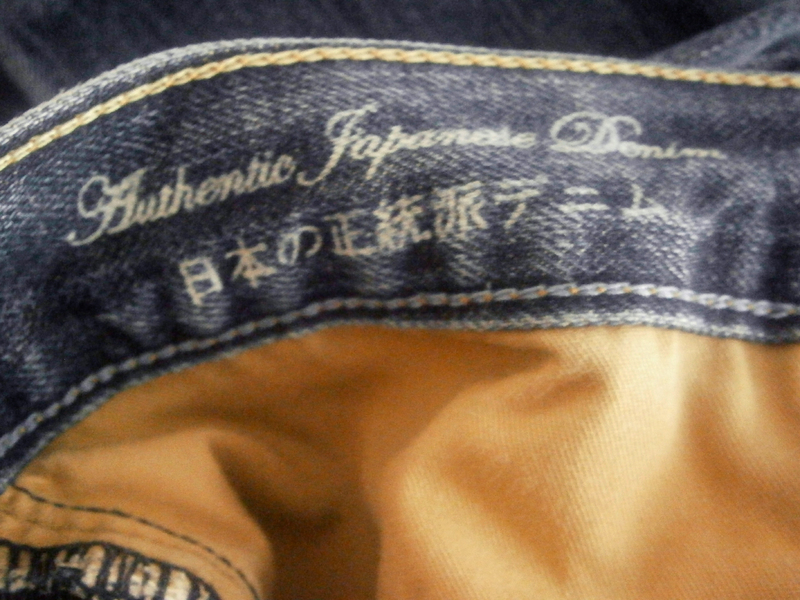 About 5 years ago, I picked up some Japanese selvedge jeans at the Gap on sale for $13. They weren’t raw, but probably had a single rinse to soften them up. 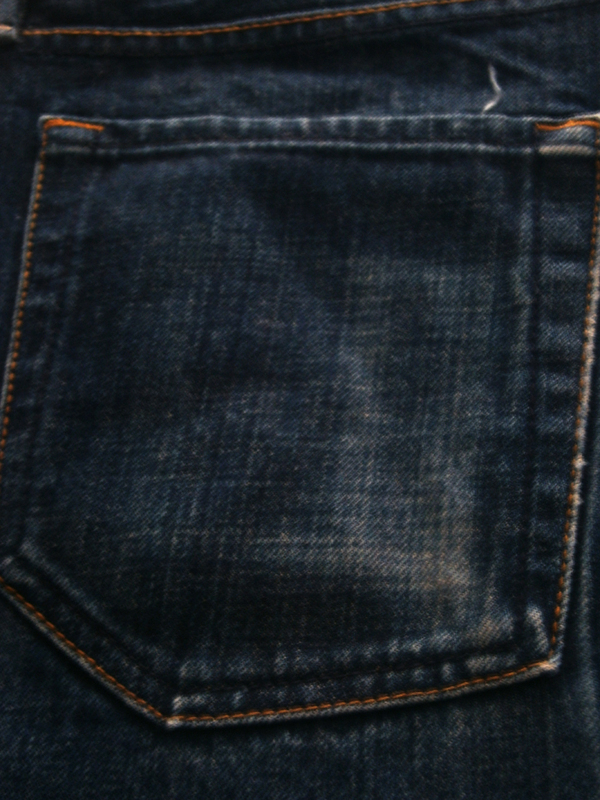 A few months later I picked up 2 non-selvedge raw jeans at the same Gap store for $19 each. 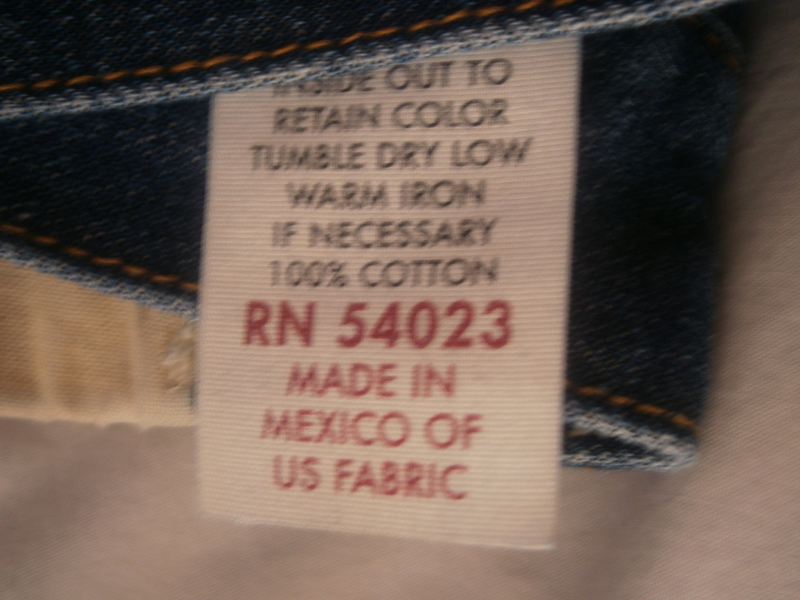 They had a resin finish and were American denim but assembled in Mexico. 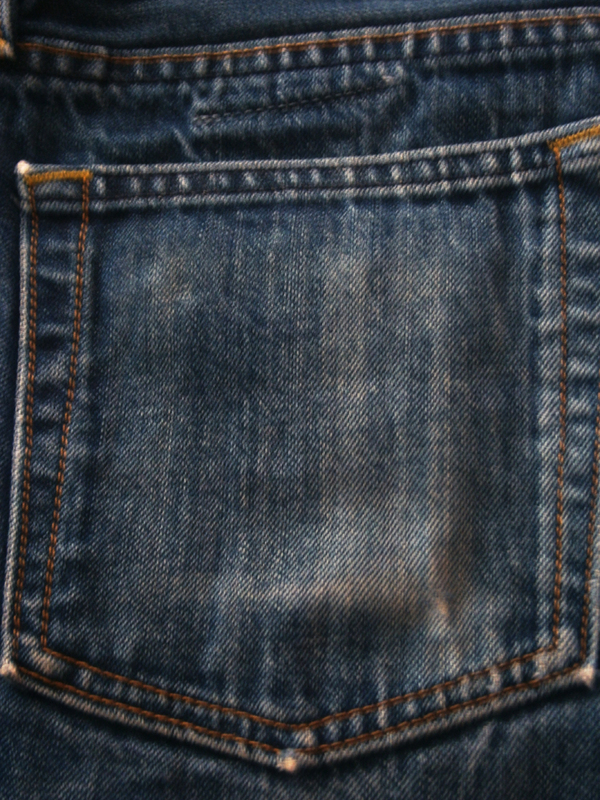 I attempted the “authentic” method of not washing the jeans and letting them wear in. 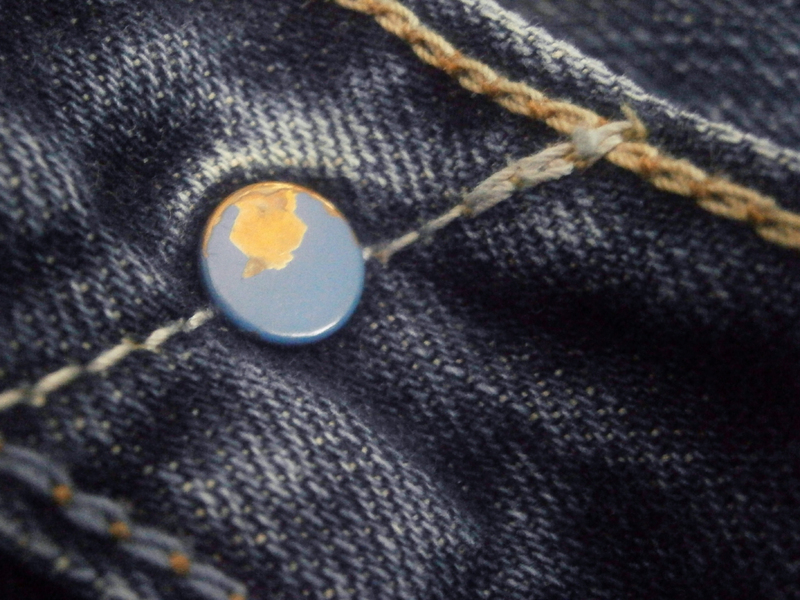 Having 3 jeans to rotate made it a little easier, but I eventually did a tub soak, inside-out, for each. 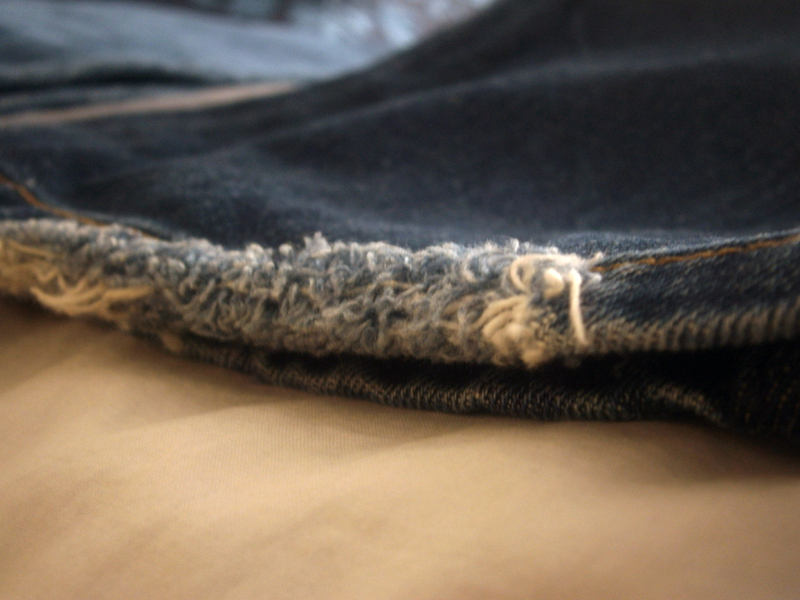 I kept that method up for 3+ years and the jeans stayed pretty dark, though the cuffs eventually started to fray. Now I just toss them in the wash like a normal person. They’ve broken in nicely and are quite comfortable, but are approaching a point where I need to just wear them on the weekends. I want to repeat a quote I heard from a fur coat manufacturer I met 20 years ago: Good quality isn’t always expensive, but poor quality always is. The clothing above retailed between $45 to $165 (probably $300 now with inflation), but I bought all the pieces on sale and didn’t spend more than a $100 on a single item. Regarless of the price though, the fact is I took care of them and in turn got a lot of use out of these clothes.